Brett Esber practices in the areas of international and domestic commercial transactions, corporate law, and finance, with a particular emphasis on representing companies involved in the maritime industry. His experience related to the maritime industry includes: vessel construction and finance, vessel charters and contracts of affreightment, mergers and acquisitions, joint ventures, vessel acquisitions and sales, and corporate structuring and transfer pricing issues. He also represents shipping companies before the U.S. Maritime Administration and the U.S. Federal Maritime Commission. 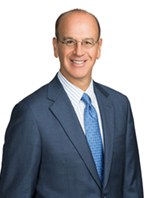 Brett Esber was named as one of the top ten lawyers for shipping law in Lloyd's List "One Hundred" (Edition Five). Mr. Esber is a frequent speaker and writer on issues related to the maritime industry.